Looking for a unique Mother’s or Father’s Day gift? Instead of using a graphic or photographic icon, consider making cards with your child’s drawing! 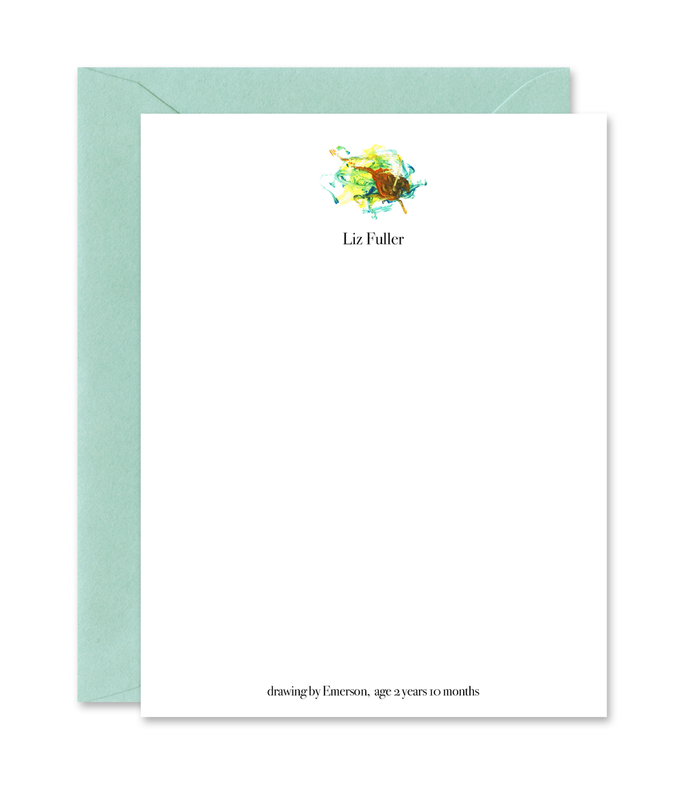 These note cards make sweet gifts for parents or grandparents, celebrating the charm of a child’s artwork. As you can see by the series by Jeremy, we started making cards with his “art” when he was only 20 months old and barely scribbling! We love how you can track his view of the world over time. The minimum order is for 3 sets of 10 cards each (30 total). Each set of 10 may have a different name, icon and color, making this great for gift-giving! Or you can order 30 cards with the same image. 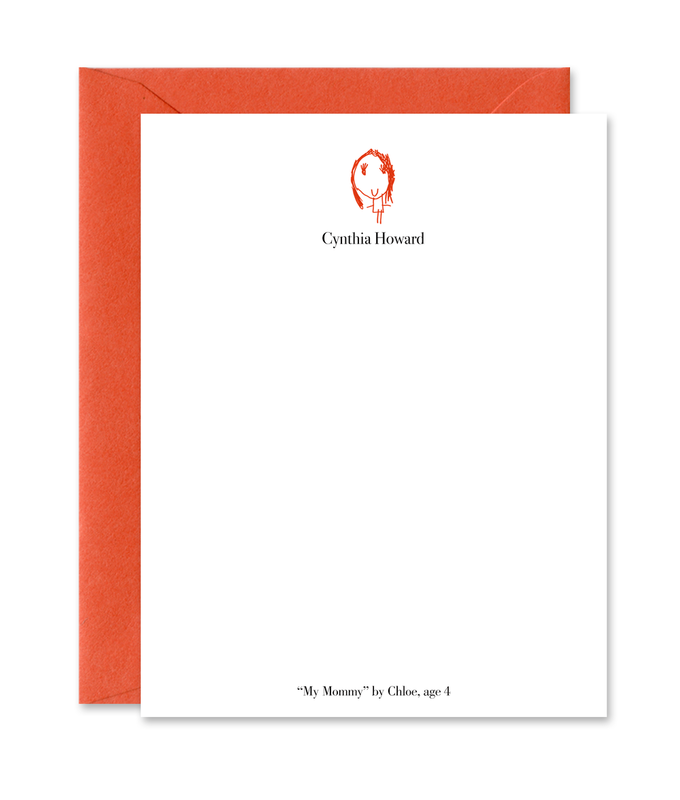 The single panel notecards are printed on lovely 100% cotton rag paper with coordinating colored A2 envelopes (4.25” x 5.75”). Learn about How to Order.